Although it appears simple and even fun at first, choosing kitchen cabinets may appear daunting once you realize the wealth of options available. Cabinets and all their minute details define the look of your cooking space. They can also eat up a large portion of your kitchen renovation budget. Such a wealth of options leads to a selection process that can be overwhelming and confusing. This guide on kitchen cabinet trends 2017 helps you understand the basics and learn about each option’s strengths and weaknesses. You can make well-informed decisions regarding kitchen cabinets and be one step closer to your dream kitchen. The first things to note are the components of kitchen cabinet structure: the box, the shelves, and the drawers. Then, there are a number of build options. In addition, general assembly comes in three ways: boxed, semi-installed, and custom. Next, comes the exciting and creative part- choosing your door and drawer styles to complement the kitchen aesthetic you are looking for. If you keep these guidelines in mind, cabinet planning will be a cinch. Let’s look at the ways cabinets can be made, and the materials needed to build them, before moving to design. For custom-designed kitchen cabinets, a carpenter hand-crafts your cabinets from scratch. This provides endless choices for style and size. Since they are built according to your exact specifications, your kitchen cabinet designs are entirely under your control. This gives you complete freedom over the layout of your kitchen. For example, you could order base cabinets with scrolling legs and feet to mimic the look of your furniture. Further, if you want to change the entire layout of your kitchen due to inefficiency and poor planning, custom cabinets are the way to go. However, note that custom kitchen cabinets are very expensive and take a long time to build. Their construction will depend on the level of customization specified. Expect to wait between 6 and 12 weeks for construction and delivery, not counting installation. Due to this timetable, it is imperative to plan and order well in advance to avoid delays. Whereas some experts say “semi-custom,” others say “semi-stock,” and still others interchange the two. These types of cabinets offer you more variety than stock kitchen cabinets, but not as many options as custom kitchen cabinets. They are typically cheaper than custom-built options, although pricing will vary quite a bit. It takes four to six weeks for delivery of semi-custom cabinets. Going to showrooms displaying them will enable you to see what you’re getting and ensure you like your choice. This will help you visualize how your kitchen cabinets will look after installation. Going from custom to semi is not necessarily a compromise. 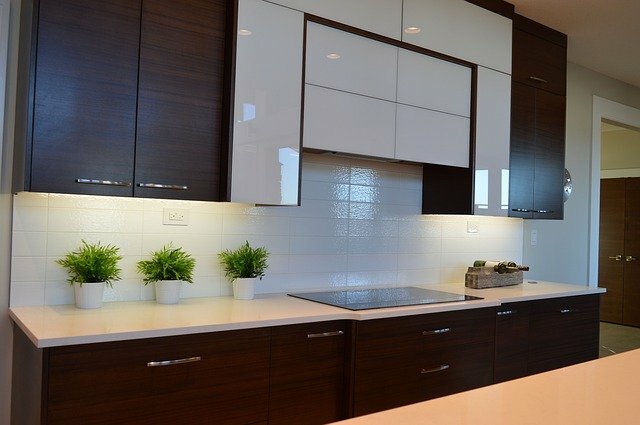 The cabinet materials are just as durable and high quality as custom kitchen cabinets. The wide range of options lets you personalize your kitchen’s look without breaking the bank. Whether choosing plate racks, pantries, or corner cupboards, semi-custom cabinets might be the best compromise between customization and cost. 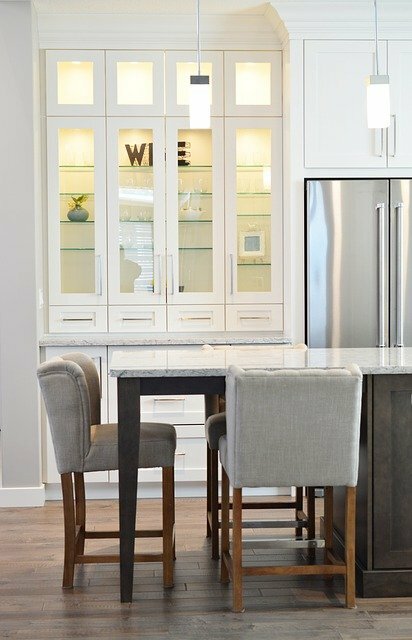 Stock kitchen cabinets are cabinets already built to standard dimensions at construction and home stores. Since stock cabinets are readily available at almost any cabinetry store, wait times are much shorter. These are ideal if you are budget-conscious or need your cabinets delivered in a time-efficient manner. 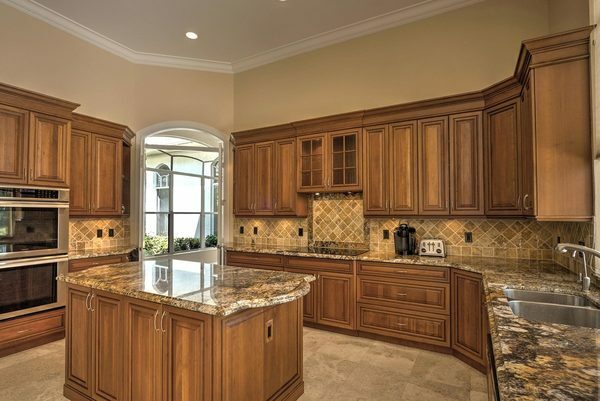 Also, if luxury is not a necessity for you, then stock kitchen cabinets might be all you need. When it comes to materials, the popular options for kitchen cabinets are oak, maple, cherry, and hickory. A more economical option would be choosing veneers covering plywood. If the wood is too rustic for your taste, industrial metal and stainless steel cabinets can give your kitchen a sophisticated, modern vibe. There are three materials commonly used in cabinets. They are plywood, MDF (medium-density fiberboard), and particleboard. These three materials are also used in drawers and shelves. Layers of wood are laminated together to form plywood. It can last a lifetime because it performs well in areas with higher humidity – places where, say, the ocean or beach is nearby. The downside of plywood is that it is expensive. But you do get what you pay for: plywood is stronger and more durable than cabinets constructed of particleboard. MDF is a cheaper alternative to plywood with a more uniform surface than particleboard. It also offers many options because MDF is easily paintable. Using particleboard will save you money in the construction of your cabinets while providing a smooth surface. However, due to its heavier weight, you’ll need a lot of support for your cabinets. It is also more susceptible to moisture damage. Now that you have a basic idea of cabinet construction, you can move on to the fun part – what your cabinet doors look like. The seemingly innumerable door options for cabinets can be categorized into only a handful of common and popular options to choose from. A flat-panel kitchen cabinet is as inexpensive as it is modern. There are no details on these cabinets, and the minimalist look and feel lend itself to modern kitchens. If you are on a budget, choose a laminate face, as it is cheaper than wood. Flat-panel kitchen cabinets begin with a single base of wood, and can remain that way or be built up. Raised panel doors and drawers feature the center panel of a cabinet door raised with a profile or contour. They have a decorative panel either routed into a door panel or inserted into the frame of a door. They are a great way to change the look of any cabinetry and, because they stand out from the door frame, they offer a traditional and very custom look. A shaker-style cabinet door is a type of flat-panel door comprised of a five-piece, flat-panel frame. 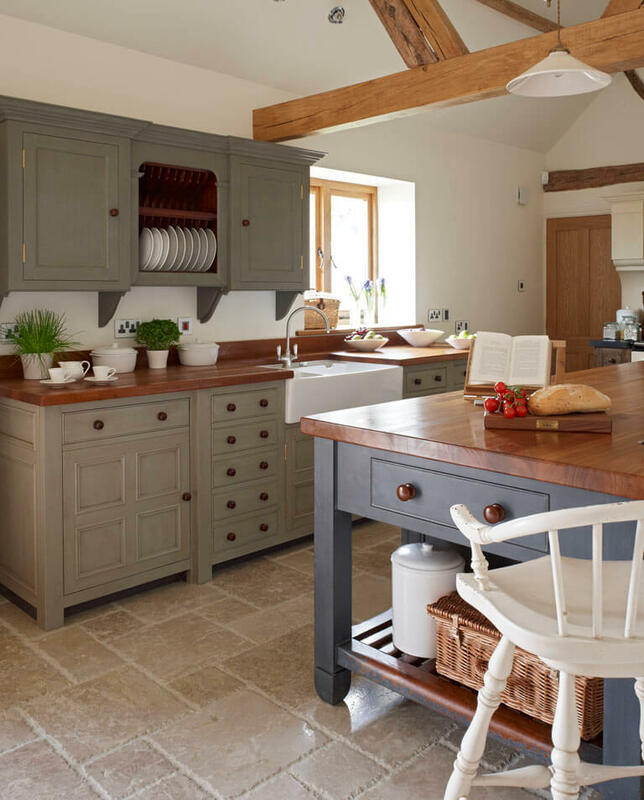 Shaker-style doors are the most popular cabinet option because of their adaptability. 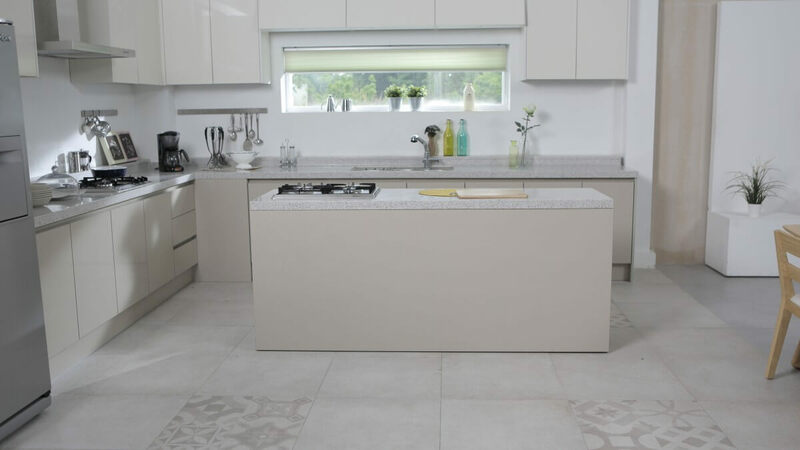 They have a clean-line style with square corners, not unlike flat-faced doors.With a classic finish, they can go from one extreme to another, offering a traditional-style appeal or a contemporary design. The straight lines of shaker style cabinets give off a modern look, while the wood tones, when paired with the right hardware and left with a natural finish, offer traditional appeal. Shaker style cabinets also includes flat-paneled doors with rail frames, and are often made from high-quality Northeastern American woods such as hickory, maple, and cherry. They can be painted or stained. Louvered cabinet doors are basically horizontal wood slats, often seen in doorway entries and buffets. However, when used as kitchen cabinet doors, they provide a distinct, show-stopping architectural design. The fact that many louvered doors have spaces between each slat makes them ideal for homes near the water, offering adequate ventilation in high-humidity areas. Inset cabinetry involves a door recessed, or “set into” the face frame, rather than overlaying it. A staple in many European-style kitchens, its timeless appeal make an elegant statement. Inset kitchen cabinets provide clean lines while minimizing gaps between cabinet components. You can insert beaded insets or other unique touches into the cabinet door itself, bringing out the thoughtful craftsmanship of your cabinets. The frameless door – aka “full access” or European cabinetry – features the absence of a wood frame around the box of the cabinet. This is one of the most popular door options in modern kitchens. The full overlay provides more space inside your cabinets or drawers, a great solution for smaller kitchens with limited cabinet space. A narrow veneer covers the raw edges of the divider, meaning that the opening is 1 ½-inches wider than on a more traditional cabinet. Very little of the frame shows when doors and drawers are mounted directly inside of the cabinet. Frameless kitchen doors often have hinges attached directly to the sides, hidden when the door is closed. Distressed doors give off a timeless appeal. If you are purchasing stock cabinets and want to save money, you could distress them yourself. However, you should be well-versed in the process before beginning. Hiring someone to distress your cabinets will increase the price by 15 to 20 percent. This is more costly than flat-painting your drawers or cabinets, but you may find the aesthetic worthwhile. The fastest way to update your kitchen is to simply paint existing cabinets. You could also apply a wood veneer to give them a fresh look. These options can provide a thrifty personalized look, perfect for any budget. Double cabinetry is cabinetry on top of cabinetry, which gives a kitchen more storage space and the appearance of added height. For an even more eccentric look, add crown molding on top. For an added touch, install small pocket lights to the top cabinets and use that space to show off your most prized possessions. If you love the cottage-style look, beadboard is the right drawer and door option for you. Beadboard inserts give kitchen cabinets that inviting, lived-in country chic style while keeping a bright and clean aesthetic. If you lack windows in your kitchen or like a mirrored look that plays off light, consider glass-front paneled cabinet doors. Glass-front kitchen cabinets can make your cooking area appear larger and help you stay organized. Many homeowners choose against this style since they would rather not see the contents of some kitchen cabinets. If this sounds like you, think twice before picking glass-front cabinets. However, there is no doubt a few glass doors here will do some good. They will break up the mass of wood doors and provide a focal point. You can also use lights inside to illuminate your wares and your kitchen as well. 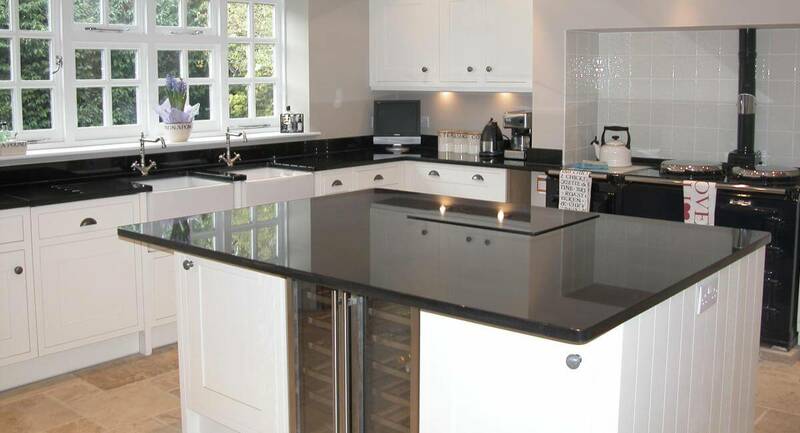 There are three basic types of glass kitchen cabinets. Frameless glass consists of just one sheet of glass across the entire cabinet front. This look is best when you want a contemporary, modern design as it offers a sleek, streamlined appearance. Sliding glass was a popular kitchen cabinet choice in the 1970s and coming back into fashion. These doors glide on recessed tracks at the top and bottom, which allow two sheets of glass to travel back and forth. Glass-front panels come in an array of patterns and finishes. Seeded glass, for example, has little air pockets inside to create a textured appearance. Frosted glass is clear enough to reveal what’s inside the cabinets, yet opaque enough to conceal items you want to hide. Etched glass, stained glass, and colored glass are other alternatives you may consider. Getting rid of a few cabinet doors can drastically change the look of your kitchen without sacrificing storage space, and reduces the cost of buying new cabinet boxes. Open shelving in kitchens also provides quick access to frequently used items, as well as a display space for favorite dishes. These are just a few of the many kitchen cabinet trends in to consider when conducting a kitchen remodel. 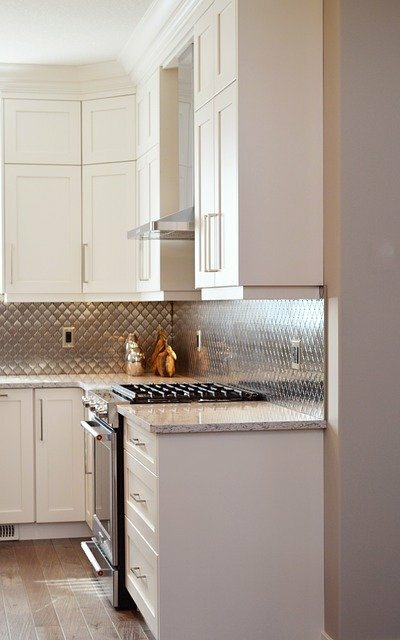 Choosing kitchen cabinets also involves selecting hardware, drawer features, and architectural elements to achieve a polished look that marries function and style, and serves as the heart of your home. First of all thanks for a brilliant guide about choosing the kitchen cabinets. All these things are vital for us while selecting cabinets for home kitchen. I love glass door objects a lot as these are transparent at times which helps our ladies to look out the things easily when needed the most. Hi Aman Bansal! Glass door objects are beautiful and visually very useful. Agreed! however, you need an orderly person to manage them if you want to keep them clutter free. We’re happy you enjoyed this article. Keep in touch! I love the idea and look of open shelving, and it would look great in my 1954 farmhouse, but the idea of the collection of dust and/or grease, does not appeal to me at all. I think a couple of glass fronts would be nice, and still a great way to display any special china or dish collections. Great post, Augustine. I really enjoy this post, great idea to keep in mind. I’m going to try them out with my kitchen. You helped me a lot, thanks for sharing! I’ve been thinking about remodeling my kitchen for a while, particularly the cabinets. I love the look of the raised panel doors. What type of wood did they use in that picture? The color would look great in a country-style kitchen. Having your cabinet designs entirely under your control would be very useful. Clearly communicating what you want with the people who will be building and installing your product would probably ensure you are pleased with the final outcome. I would imagine that if you don’t know exactly what you want you could look at your carpenter’s previous projects in order to get an example of what they can do so you can figure out what you want for your custom product. I agree that the amount and styles of cabinets can be overwhelming since there are so many options out there. For that reason, I like the idea of more customized cabinets, especially wooden cabinets. Whatever design you do decide on, I think it’s worth considering how you can make them more customized and unique to your home. The kitchen is one of the more cared for rooms in a house, after all. I love the idea and look of open shelving, Will share this with my wife for next renovation in home. Awesome article. 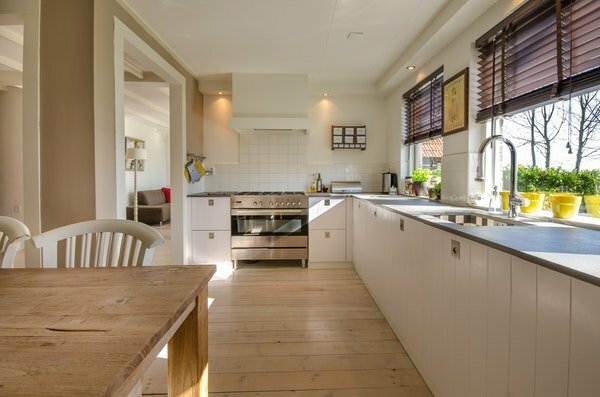 I really enjoy this post, your useful tips help me a lot, I’m going to try them out with my kitchen remodeling project. Thanks for sharing. Got a crystal clear idea from your post, the recent trends of kitchen cabinet. Thanks for sharing with us. Got a crystal clear idea from your post, the recent trends of the kitchen cabinet. Thanks for sharing with us. thanks for sharing this info is really very helpful. So many Ideas! Thanks for the great article Augustine. I have a lot of planning to do before I start renovating my kitchen. I’m really liking the idea with distressed kitchen cabinets. I’m gonna combine the look with plank tiles on the floor to tie it together. Thanks for the ideas. Great post. I really like the way you represent your thoughts with us. Also i must say you have unique renovation ideas that will surely help people for their renovation projects. Success will surely knock your door. Good luck and keep sharing good stuff with us. A lot of useful information here, I enjoy the idea of open shelving to create an interesting design while saving money. thanks for sharing this kind of article….